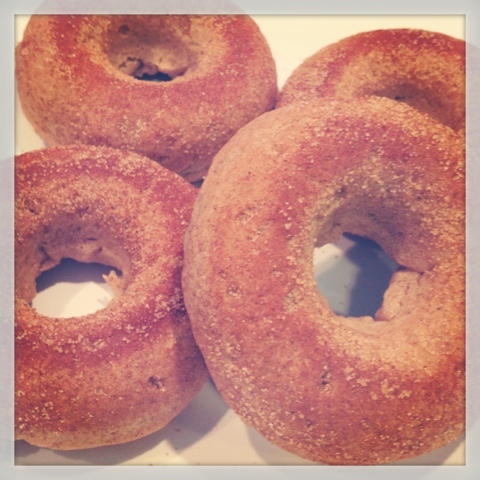 I saw these snickerdoodle donuts on The Frugalista Mom's Instagram, and I begged her for the recipe. She posted it here, and it looked like something I could make. The original recipe called for a flax egg, but I used egg replacer instead. I also chose to add guar gum which should be mixed with the oil before combining with other ingredients. The original recipe also called for using a donut maker, but I just used my donut pan. Bake at 425º for 6-7 minutes.